2018 has been another wonderful year filled with engaging and enriching educational experiences for our pupils. We are incredibly proud of the progress that the children have made and the lovely sense of community at our school. 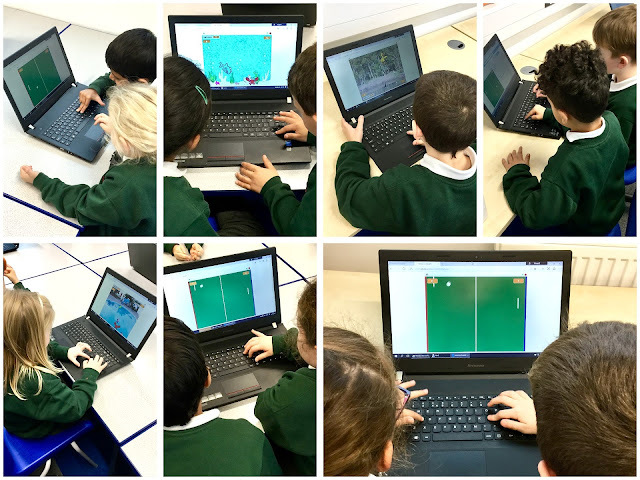 Working together, we are giving our pupils the very best opportunities as they move forward on their learning journey. Thank you, parents, for your continuing support. We hope you enjoyed the children's Christmas concerts as much as they did. Each one was filled with many magical moments: heartwarming songs, energetic dances, confident acting and plenty of laughs. Over 1,100 family and friends watched the concerts, which I am sure you will agree were all of a very high standard. Thanks to your generosity, we raised over £1000 for our School Council's chosen charities: Cancer Research, St. Francis Hospice and Great Ormond Street Hospital. 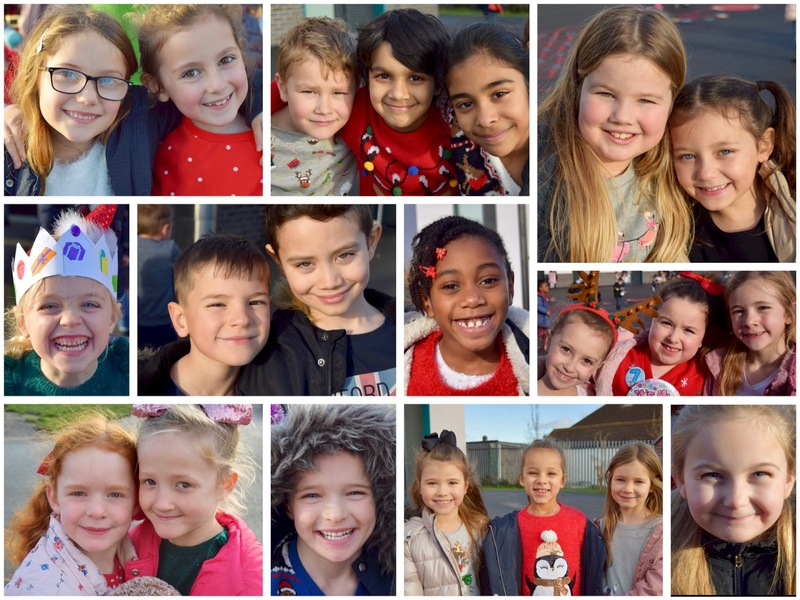 We now look forward to all that 2019 has to offer; it promises to be another fantastic year at Hacton Primary School. 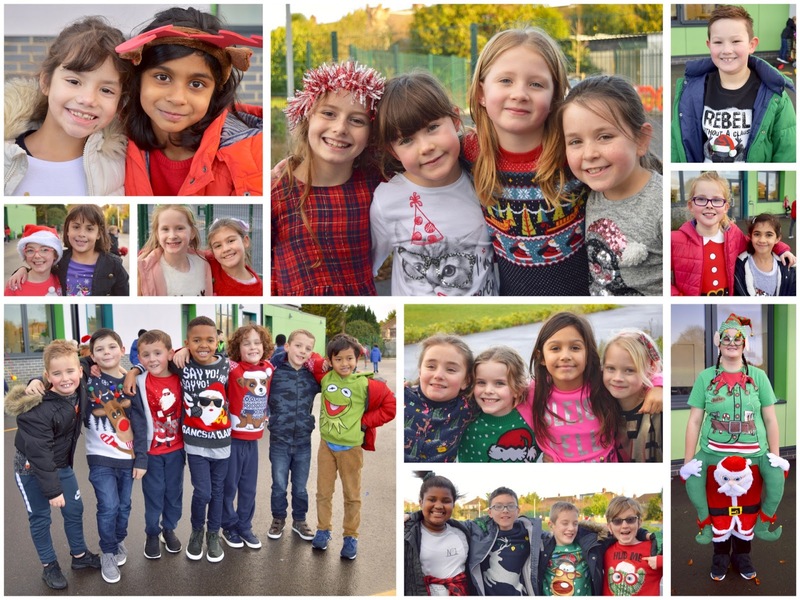 On behalf of the staff, we would like to wish you all a very happy and healthy Christmas and New Year with your child / children and we look forward to seeing you on Tuesday 8th January 2019. 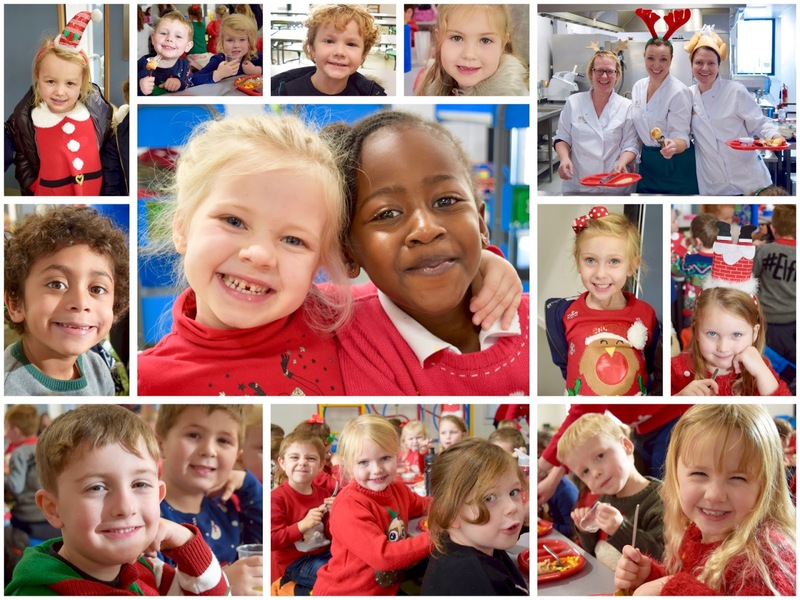 Nursery children have had a very exciting time during the build-up to Christmas. They wrote their wish lists to Father Christmas, but how would they make sure he received them? 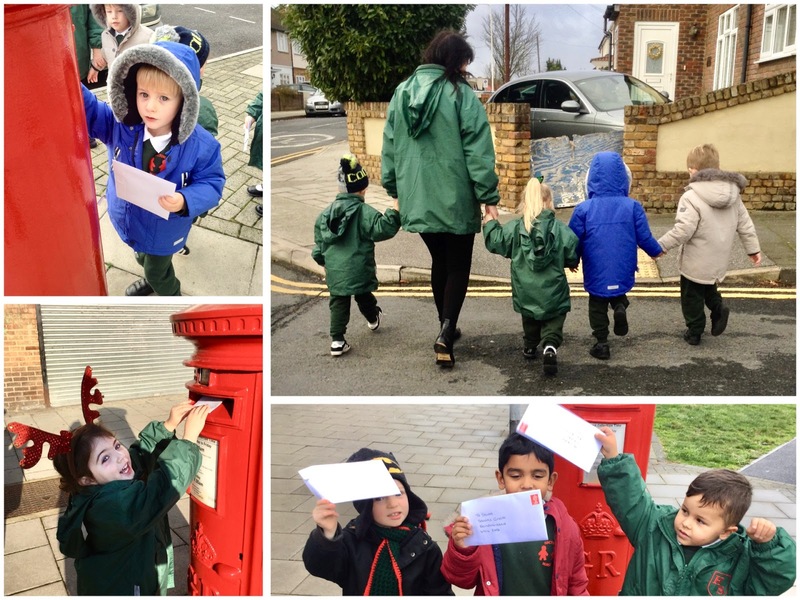 Firstly, they addressed their envelopes to the North Pole and then they took their little legs to their nearest post box and popped their letters inside. On the way, they were reminded about how to cross the road safely. They were all amazed that their letters will find their way to Father Christmas in the icy North Pole. 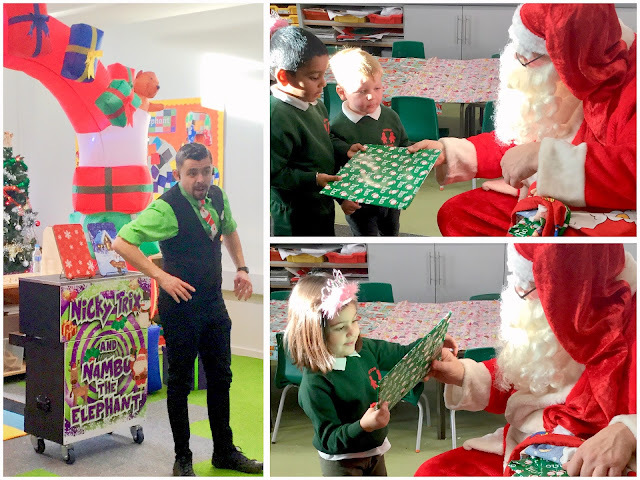 The children were also had a brilliant time when party entertainer Nicky Trix brought along Father Christmas. What a fantastic surprise! It has been a joy to watch the children get so excited by the magic of the festive season. 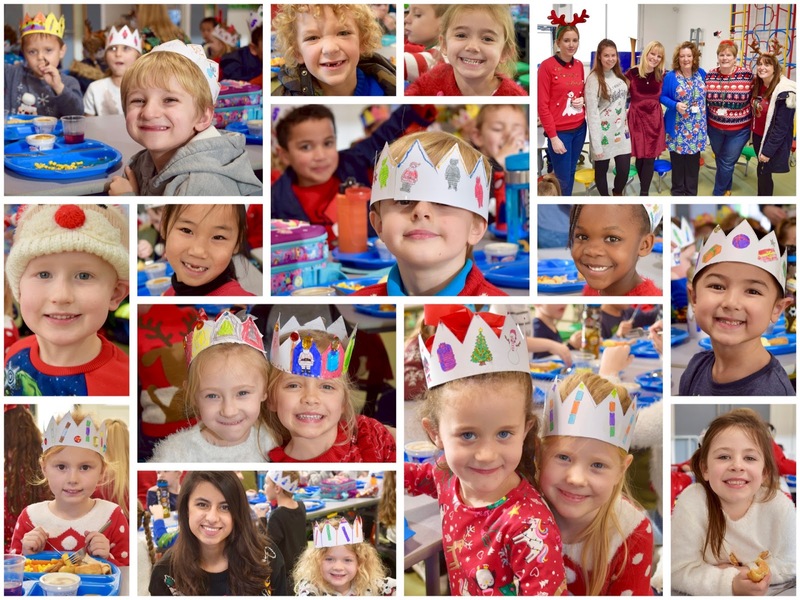 We hope the children all have a wonderful Christmas. 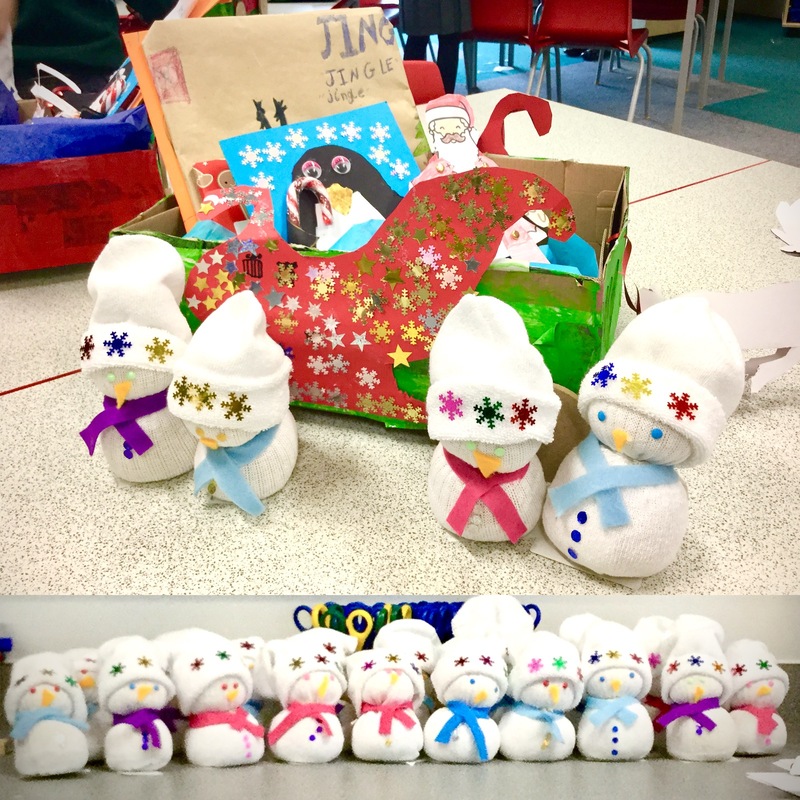 After making sock snowmen, Year 2 constructed a new sleigh for Santa. In their Literacy stories, Santa crashed his sleigh and needed a new one in time for Christmas Eve. 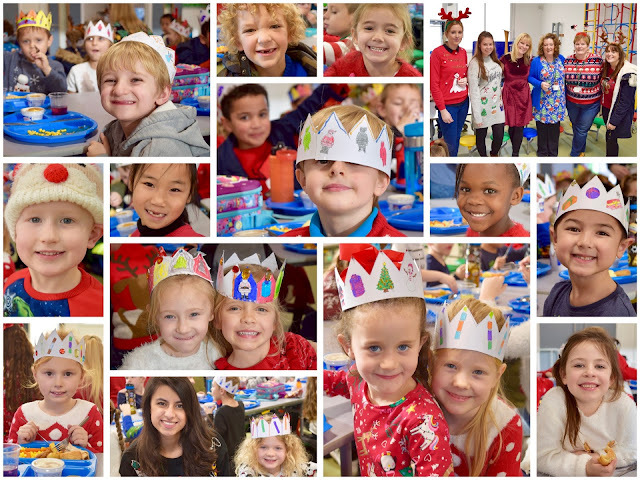 The children had to paint their sleighs in festive colours, add wheels by sawing and gluing them carefully and then add more festive decorations. Years 2 had lots of fun making their sleighs and practised their skills of designing, creating and evaluating. Over the past couple of days, Year 6 have been investigating Christmas cards with moving parts. To create a Christmas card with pulleys and axles. Through trial and improvement, the children had to measure, cut and attach a disc that could display three different festive scenes. 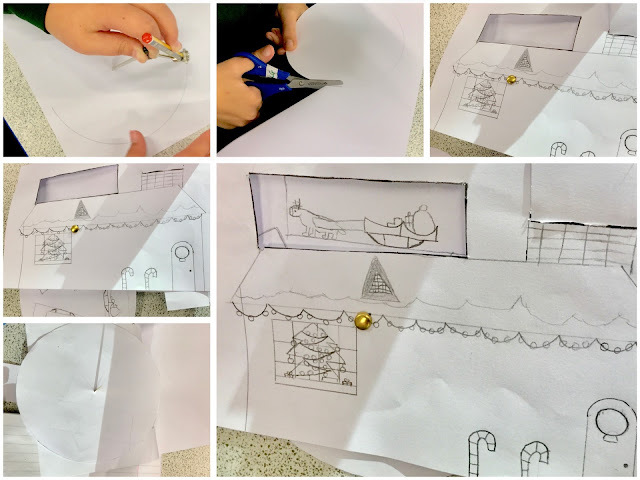 Following this, they planned, designed and created their own Christmas card that firstly had Santa delivering presents and then had him flying off to the next house. The children learnt about the importance of planning and the need for accuracy when measuring and assembling. 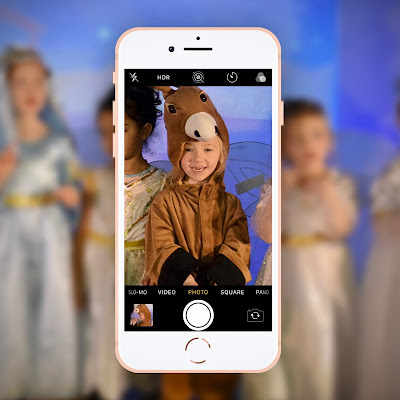 As you know, most parents signed a consent form giving permission for their children to be photographed by the school so we will, as usual, be posting pictures and videos from Christmas plays on our blog. 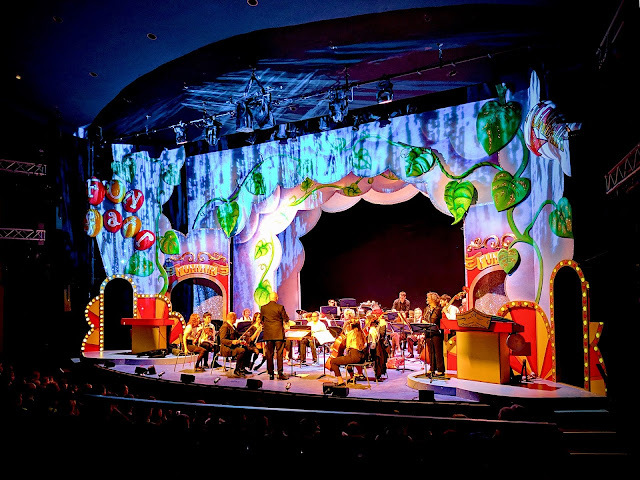 Year 6 were very lucky to attend the Havering Primary Live event at the Queen's Theatre, Hornchurch. Our pupils broadened their understanding of the different sections of an orchestra and were taught how to identify different instruments within pieces of classical music. 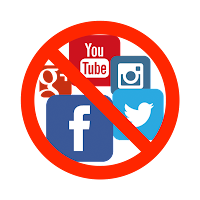 The children were told to listen out for different instruments within pieces of music played by an orchestra, including music from Harry Potter. Year 6 had a fantastic time and they behaved impeccably. 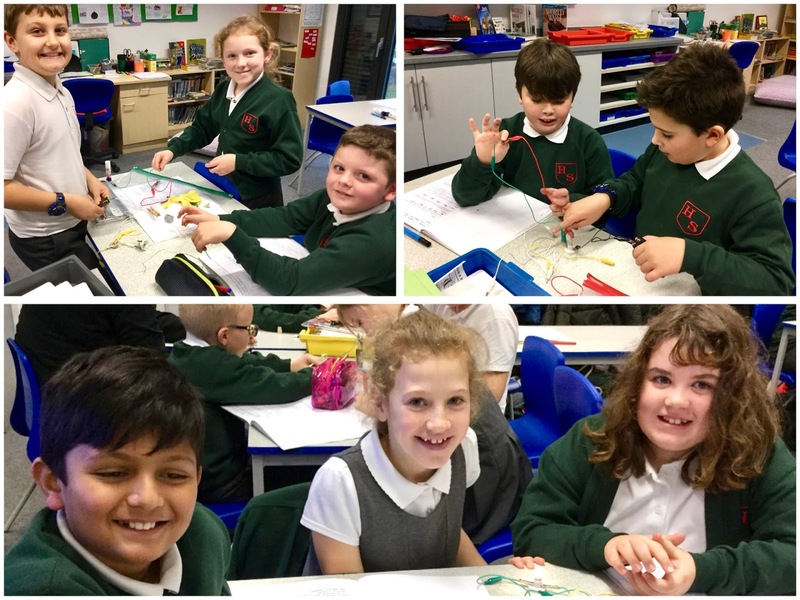 Year 5 were challenged to find the most efficient electrical conductor to use in a set of floodlights. First, an electrical circuit needed to be set up and tested using wires, crocodile clips, an energy source and a bulb. Once the circuit was tested, a range of materials were introduced into the circuit to determine whether it allowed energy to pass through - an electrical conductor - or prevented energy from continuing on its journey - an electrical insulator. After the conductors were identified, our junior technicians had to test levels of resistance. A more resistant material allowed less energy to pass through, making the bulb in the circuit shine less brightly. Year 5 concluded that the most conductive material they tested was metal.